The Cilento National Park is a stunningly beautiful area with some of the best cycle routes in Italy! The region of Campania has been known as a paradise on earth from ancient times on. It is famous for Pompeii, Amalfi, Capri and Sorrento and of course the vibrant city of Naples. But it’s real secret is located south of Salerno. Here the Greeks built some of their most impressive temples at Paestum and a bit further south the coastline bulges out into an expanse of hills & mountains. This is the Cilento, now one of Italy’s biggest and most diverse National Parks, with World Heritage listing. One of the most memorable aspects of cycling in Cilento are the high mountains situated close to the sea. There’s something special about riding along cliff tops above the beach and then zigzagging up to 1,700m within sight of the sea before enjoying stunning views of the cliffs and beaches from above. Views of the island of Capri and the Amalfi coast stretched out across the bay behind the turquoise waters of the Tyrrhenian Sea or small picturesque ports filled with fishing boats or small yachts never fail to impress from above. And without the crowds you’ll find in more famous cycling destinations! Although the Cilento offers endless possibilities to the road biking cyclist, amateur and well trained semi-professional alike, it is not yet discovered by many. So you’ll ride on quiet roads, with only a bit more traffic in the few flat areas, mainly concentrated along the coast, which immediately make way for rolling hilly country punctuated by several low mountains, where you’lll be almost completely by yourself. 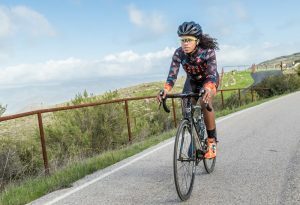 This makes for an interesting ride, where challenging climbs and exhilarating descents follow up at a breath taking pace. 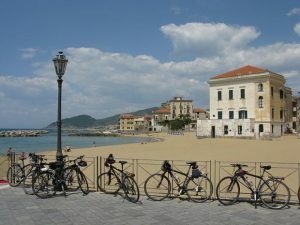 We offer several different bike challenges in the Cilento, ranging from short breaks to longer tours, with a variety of rides which can be adapted to your skills & fitness level, availalibilty of time, willingness to concentrate on the riding or to take in some of the culture as well. These challenges can be done individually, as well as with a small group (in which case we provide vehicle support). Here are some of our favourite challenging routes. They are suggestions which can be mixed and matched, made shorter, easier, longer or steeper depending on the group’s abilities. And for those not yet ready for a real challenge? We also offer some more leisurely self-guided cycling tours as well as some great small group adventures, where the stress is more on the landscape and the food. But with some good cycling too! And yes, there are some pretty challenging hills, but all of the above tours can be easily tackled by E-Bike. And of course we offer shorter, 3- or 4-day tours especially designed for the E-Bike. Interested? Want to find out more? Please contact us. We are here to prepare the perfect tour for you! 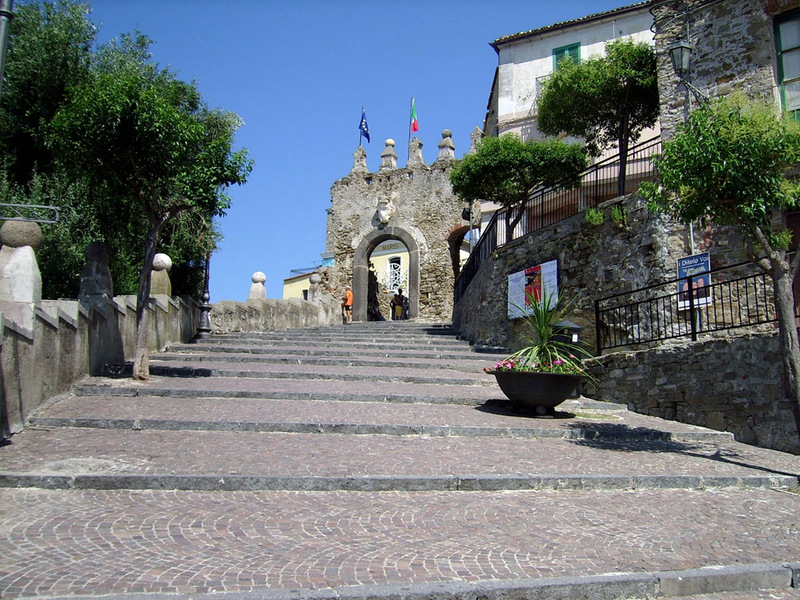 And if you like to go for a walk too: the Cilento is also a great area for some stunning hikes!